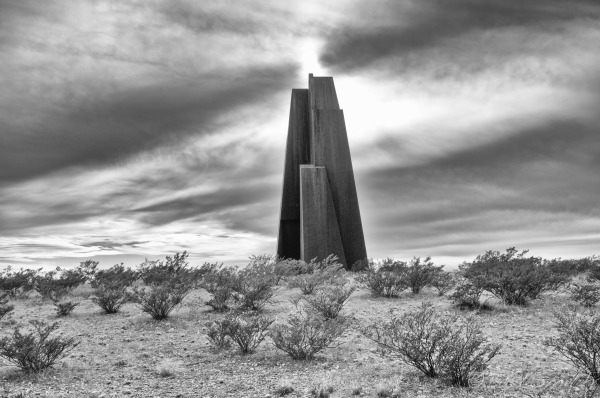 Monument at San Gabriel commemorating Jaun de Onate and the establishment of the first Spanish Capital in what would become New Mexico. 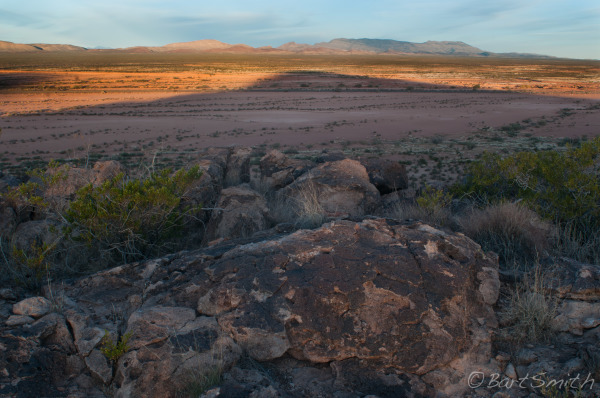 Two miles west of San Jaun Pueblo. 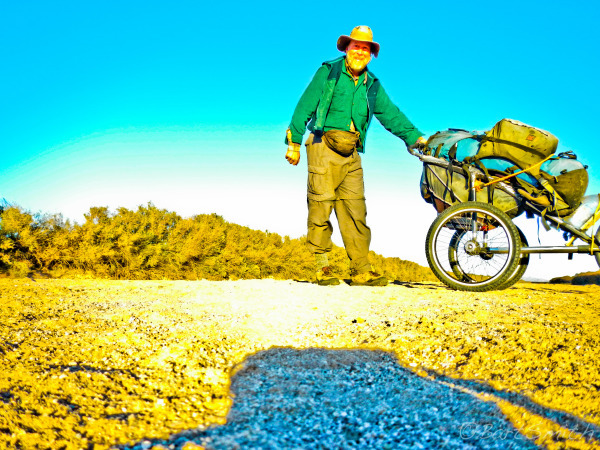 I'm about to start the El Camino Real de Tierra Adentro walking south to El Paso. 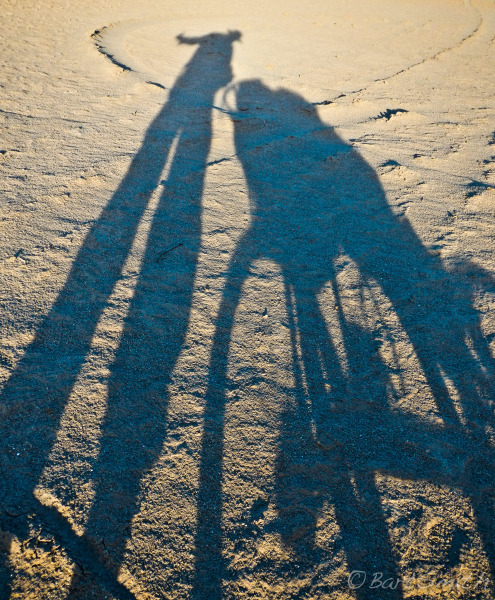 My cousin Carol took this photo. THANK YOU Carol And Roger for all your support. Pigeon enjoying shade under church bell. 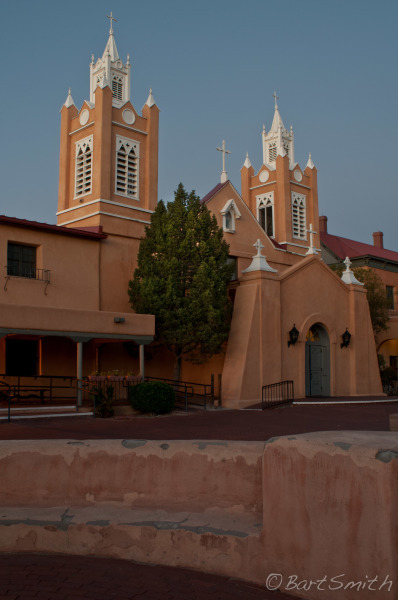 San Jaun Pueblo. New Mexico. 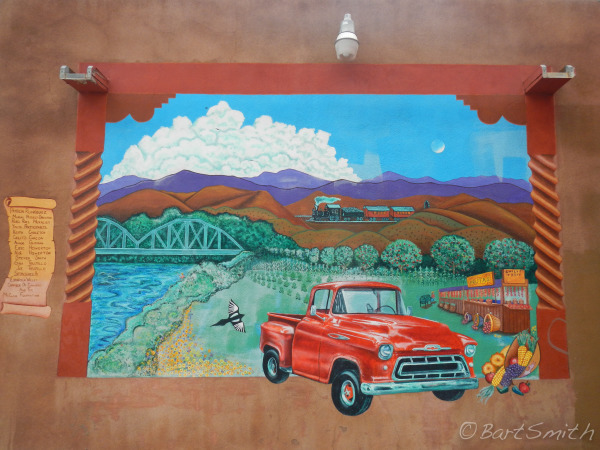 Mural, city of Espanola. New Mexico. 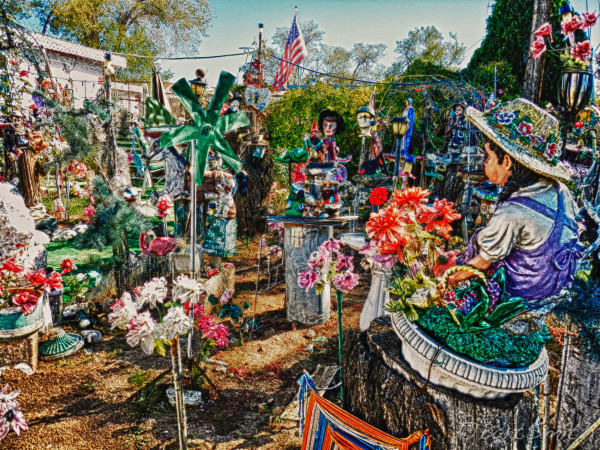 Whimsical front yard of Thrift Boutique Shop near town of Espanola. 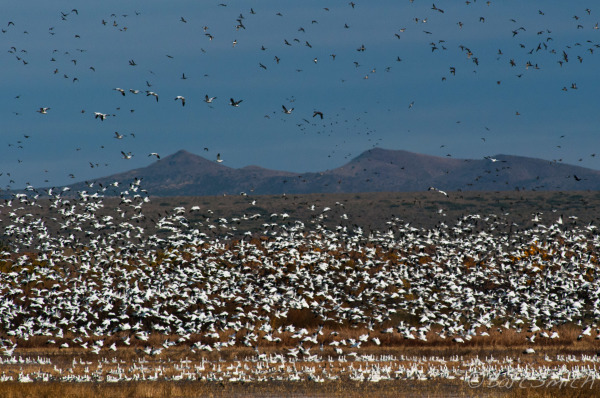 New Mexico. 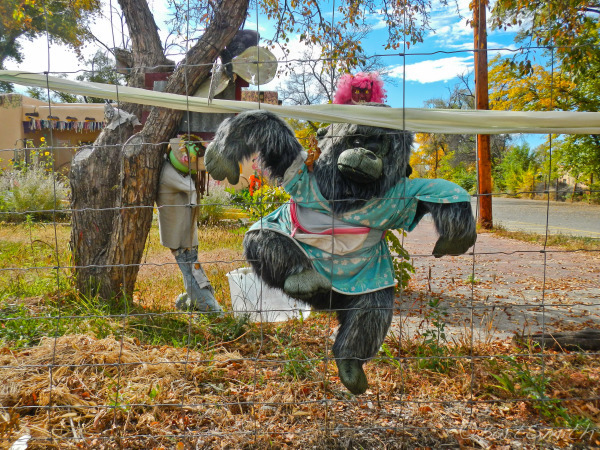 Sculpture by Roxanne Swentzell outside of her Gallery in the town of Pojoaque, New Mexico. 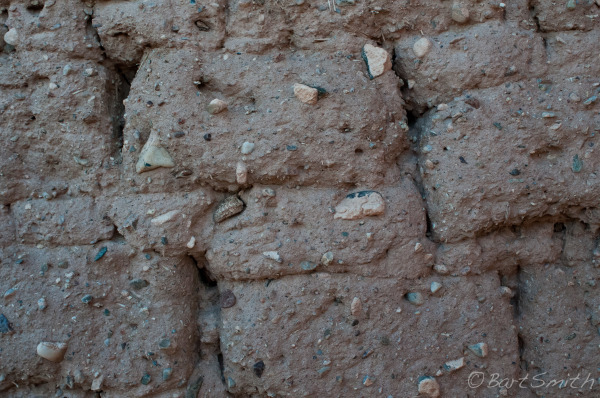 Eroded riverbed in Arroyo near Pojoaque, New Mexico. 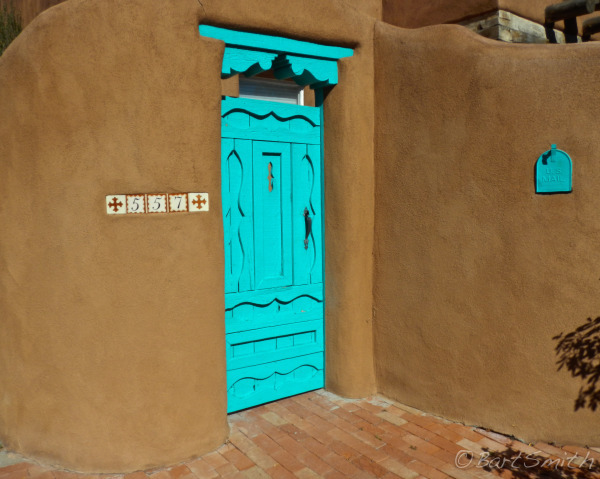 Santa Fe style door along Agua Fria, Santa Fe, New Mexico. 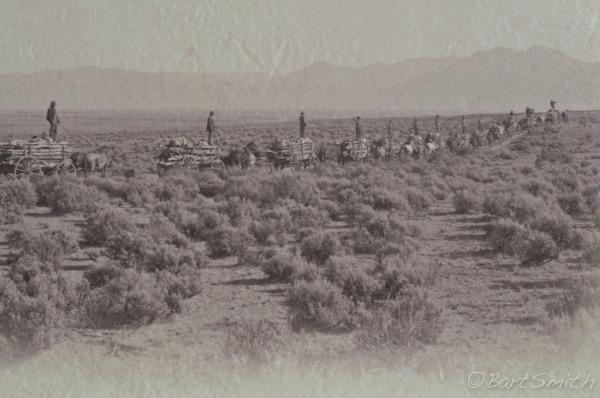 Historic Image of trade caravan along the El Camino Real de Tierra Adentro on kiosk at El Camino Park near Santa Fe River south of Santa Fe and Agua Fria New Mexico. 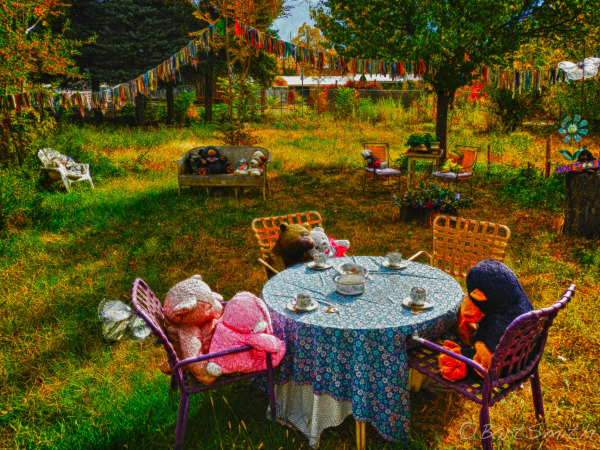 El Ranch de las Golodrinas. 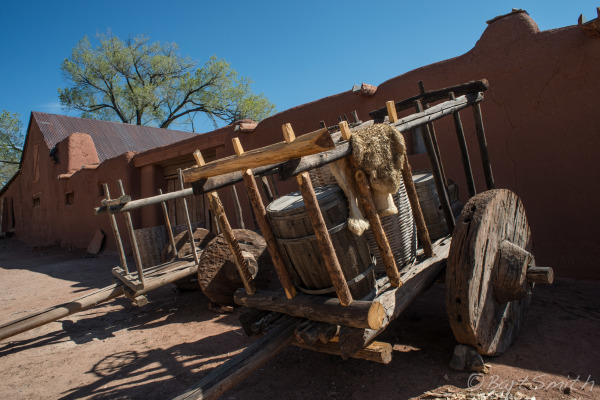 A recreated living Spanish Village along the El Camino Real de Tierra Adentro just south of Santa Fe, New Mexico. 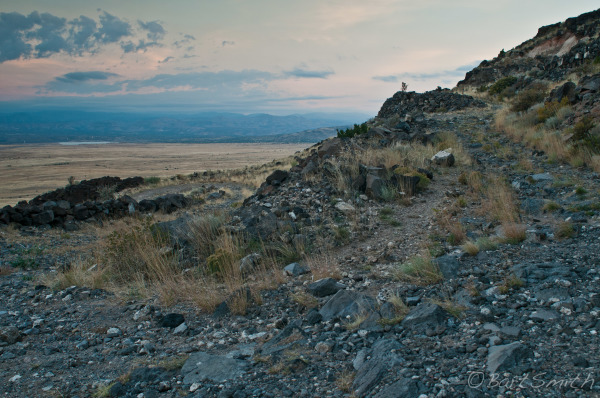 Old Route 66 (also one branch of the El Camino Real de Tierra Adentro Trail ) atop La Bajada Mesa south of Santa Fe, New Mexico. 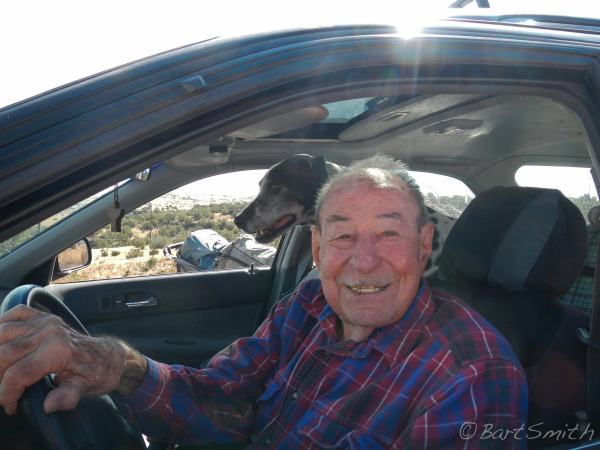 Very nice fellow along Old Route 66 atop La Bajada Mesa south of Santa Fe, New Mexico. 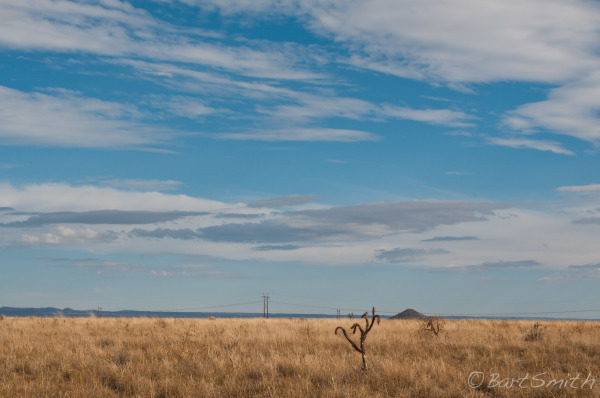 Grassland desert landscape atop La Bajada Mesa, New Mexico. 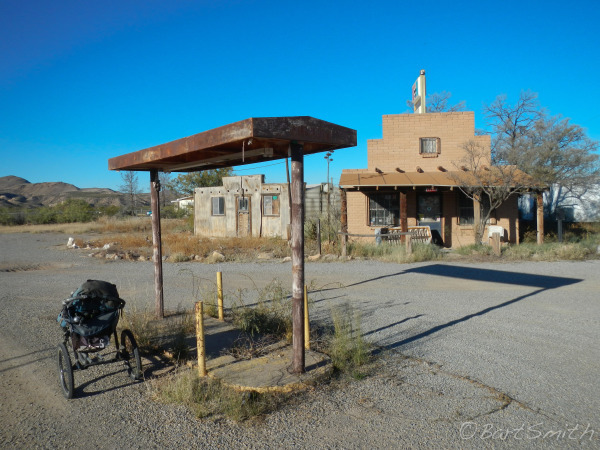 Descending from La Bajada Mesa along a remnant of Old Route 66, New Mexico. 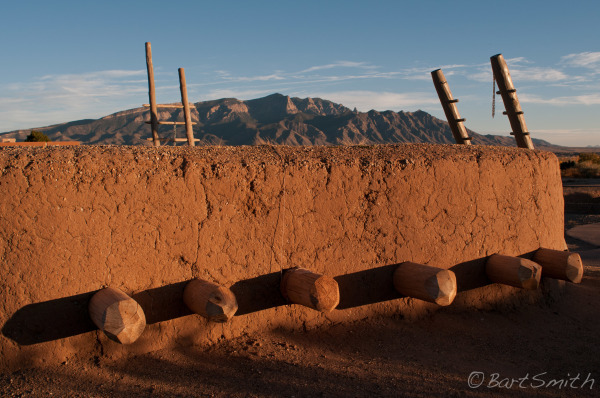 Restored Kiva of Tiwa pueblo Kuaua at Coronado State Monument with the Sandia Mountains in distance. 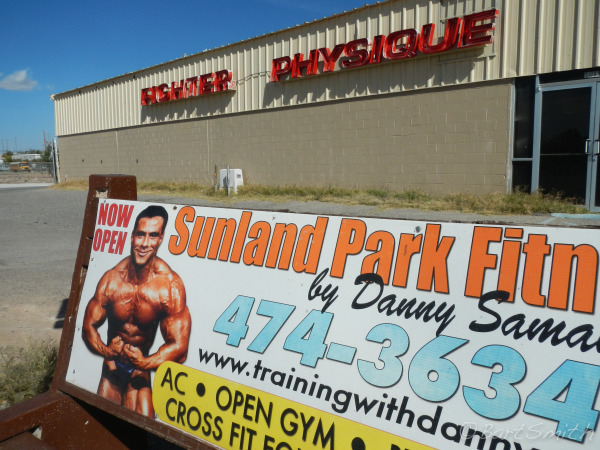 Bernalillo, New Mexico. 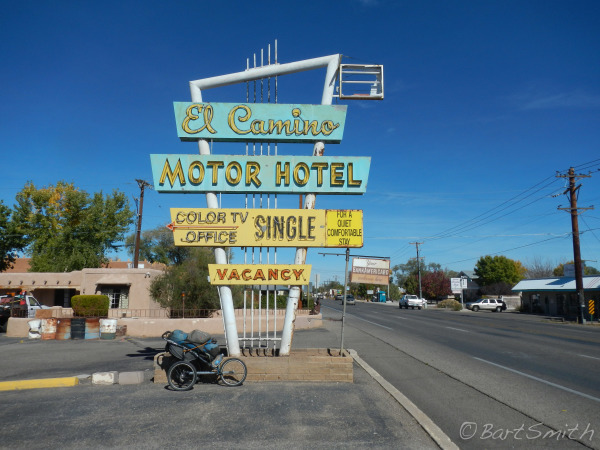 Motel of choice in Albuquerque, New Mexico. 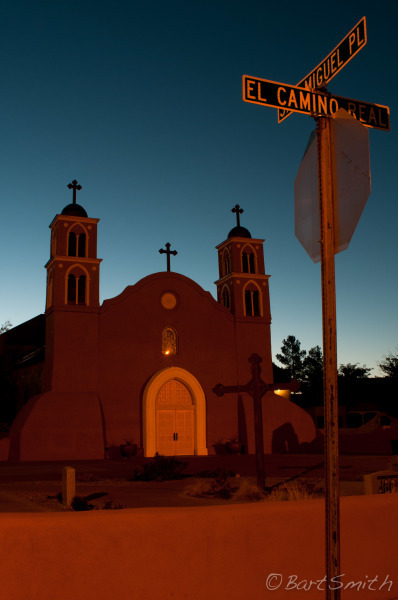 San Felipe de Nari Parish in Old Albuquerque, New Mexico. 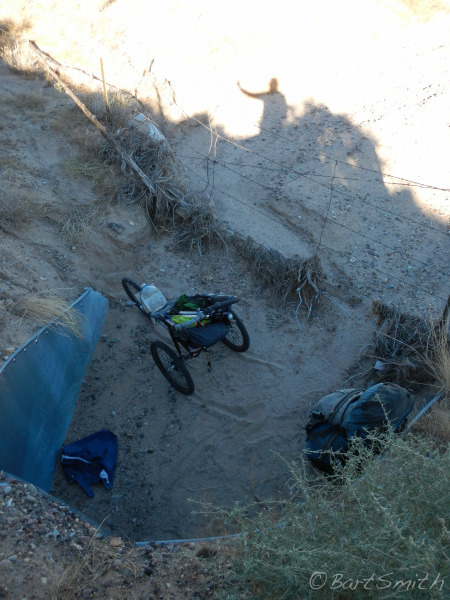 Rest spot in culvert along HW 47 in Isleta Pueblo just south of Albuquerque, New Mexico. 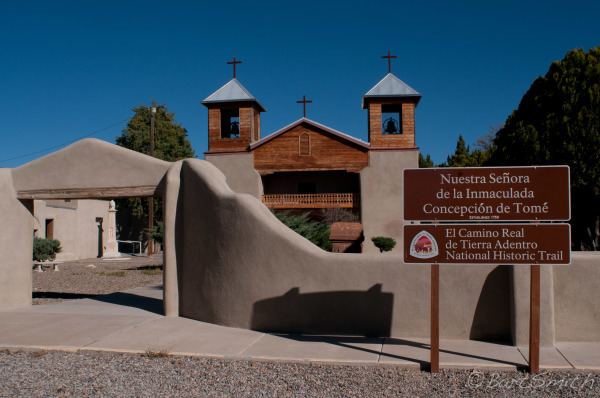 Nuestra Senora de la Inmaculada Concepcion church along the El Camino Real Tierra Adentro in the village of Tome, New Mexico. Trail ascending Cerro Tome. 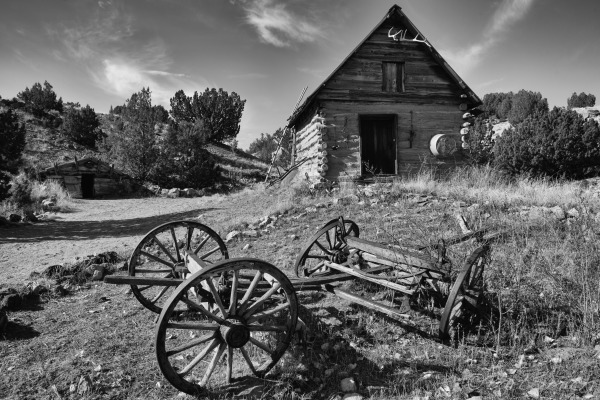 Near Tome village, New Mexico. 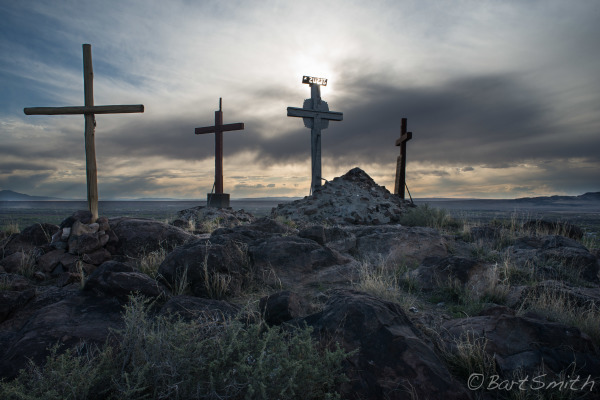 Crosses atop Cerro Tome. 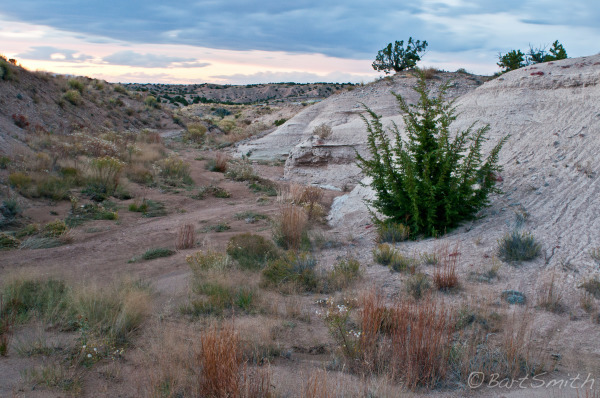 Near Tome village, New Mexico. 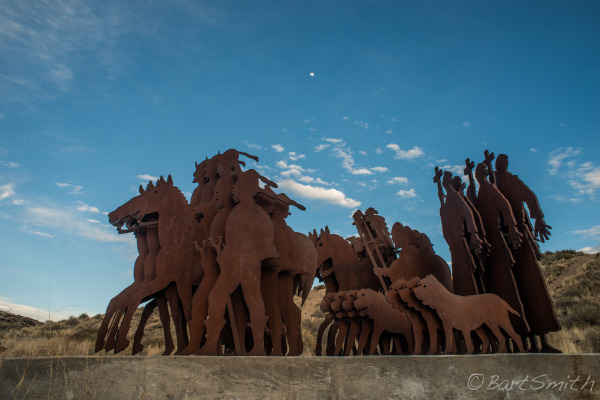 Sculpture commemorating El Camino Real de Tierra Adentro at the base of Cerro Tome. 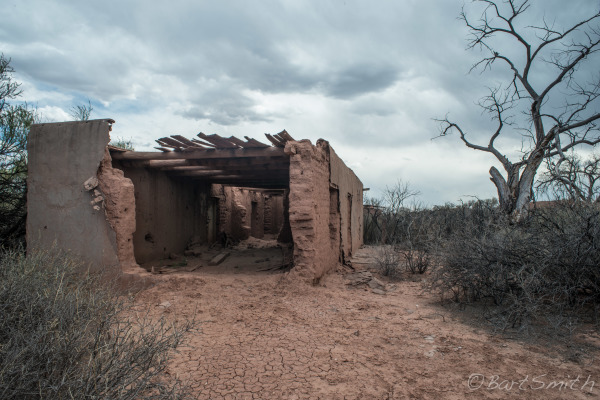 Near Tome village, New Mexico. 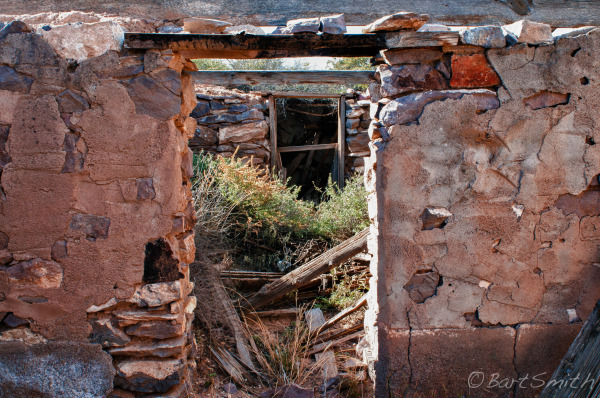 Adobe ruins, vestige of a once bustling Spanish settlement, La Joya, New Mexico. 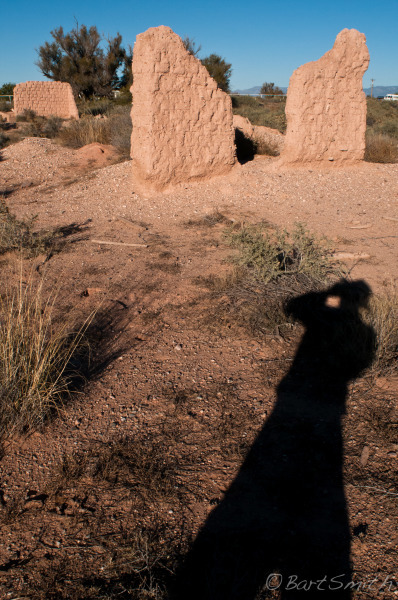 A few adobe ruins survive along Road 304 near Veguita, New Mexico. Adobe ruins near Veguita, New Mexico. 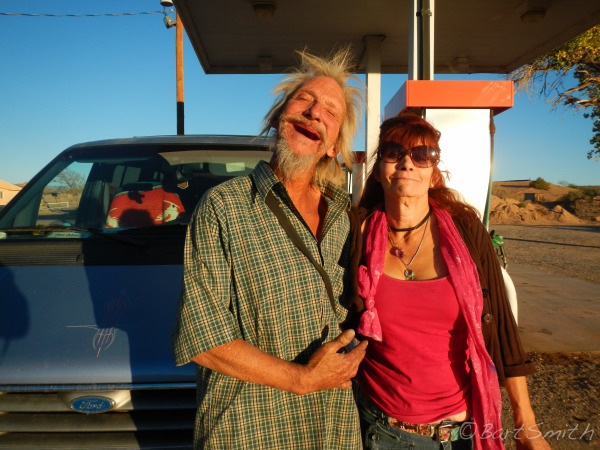 Friendly folks in Las Nutrias, New Mexico. 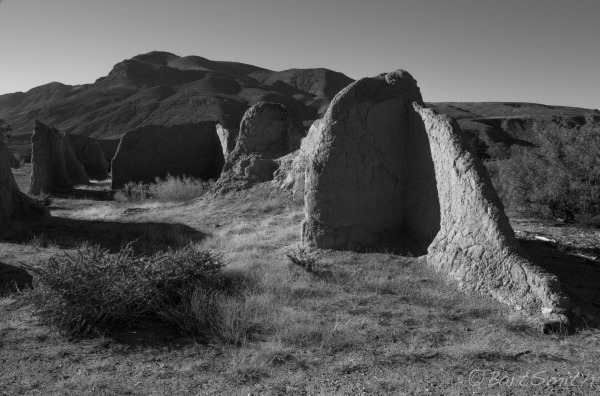 Adobe ruins beside Interstate 25 near present day Alamillo north of Socorro, New Mexico. 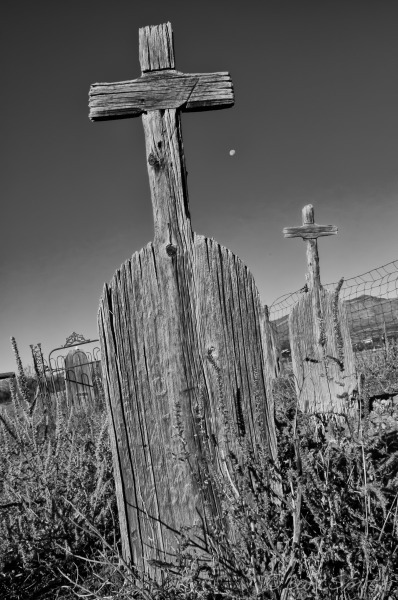 Wooden crosses of Spanish settlers in the second Lemitar Cemetary a few miles north of Socorro, New Mexico. 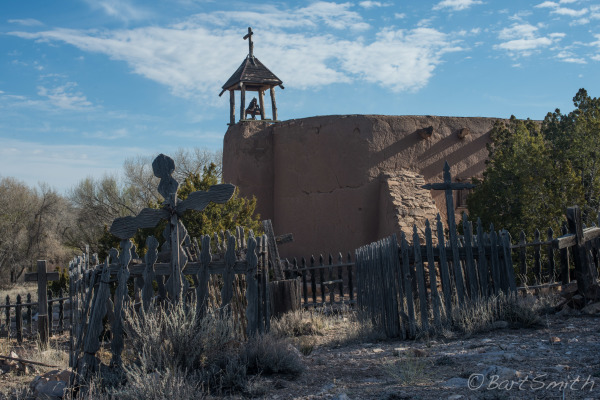 San Miguel Church, Socorro, New Mexico. 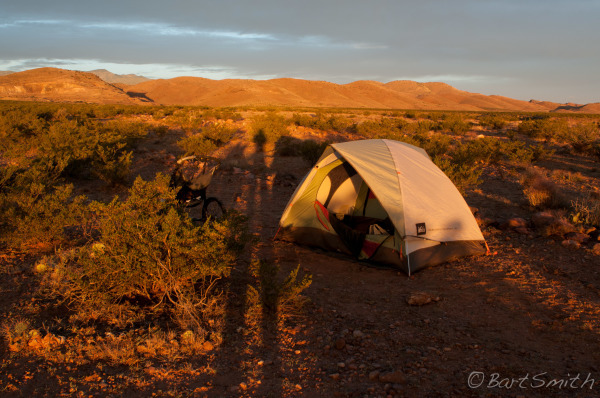 Camp south of Socorro, New Mexico. 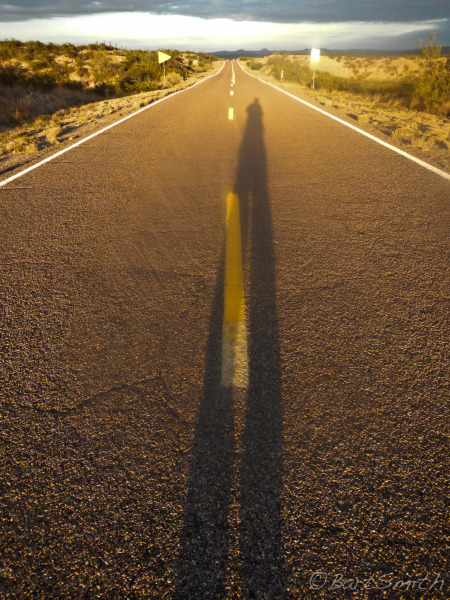 Sunset shadow a few miles south of Bosque del Apache National Wildlife Refuge, New Mexico. Little remains of the former bustling town of San Marcial which was flooded out years ago. 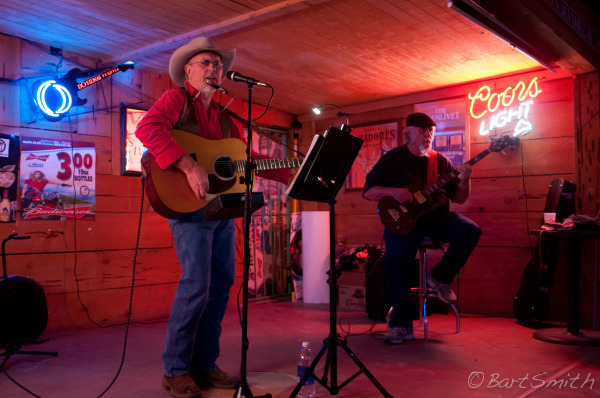 San Marcial, New Mexico. 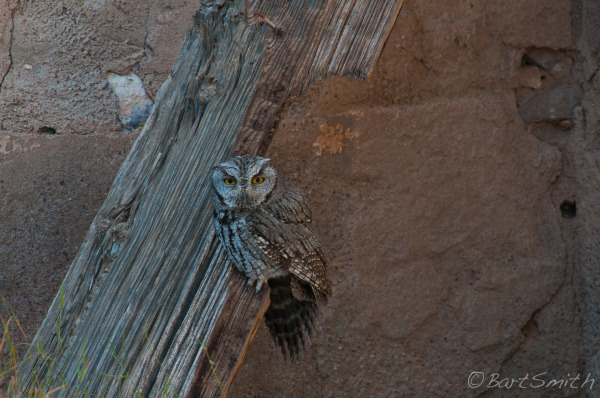 A wounded screech owl in one of the few remaining buildings in ghost town of San Marcial, New Mexico. 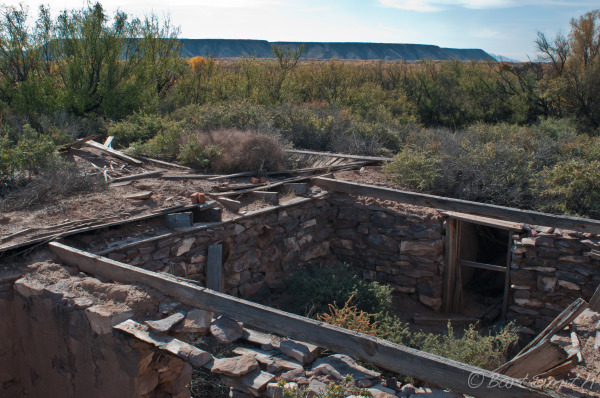 Ruins at Fort Craig National Historic Site. New Mexico. 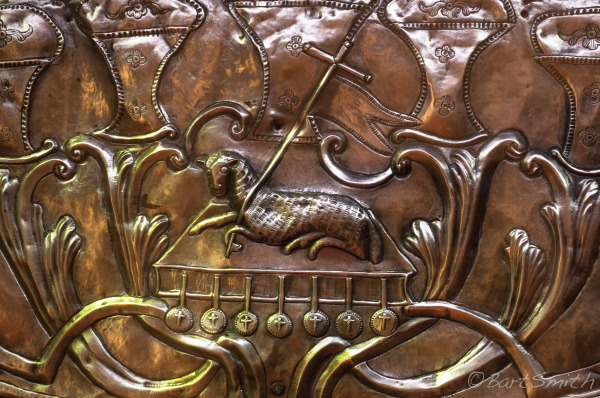 Metalwork from Spanish era displayed at the El Camino Real International Center, New Mexico. 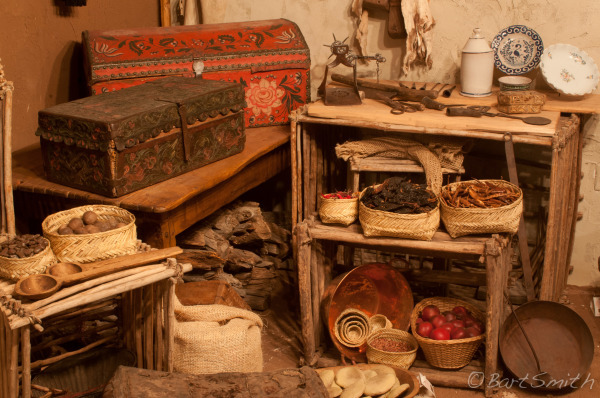 Exhibits at the El Camino Real International Center detail the rich history of the Royal Road through Mexico and the United State, New Mexico. 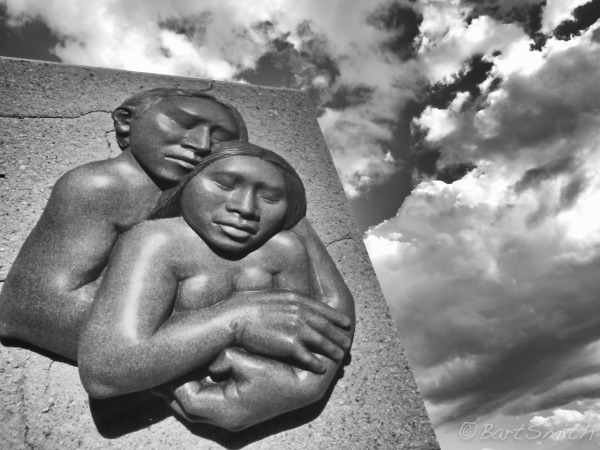 Sculpture at the entrance to the El Camino Real International Center, New Mexico. 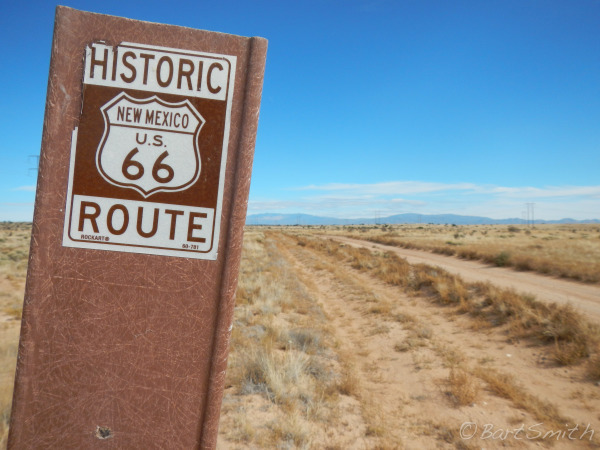 Along Old HW 85 heading south towards Truth or Consequences, New Mexico. 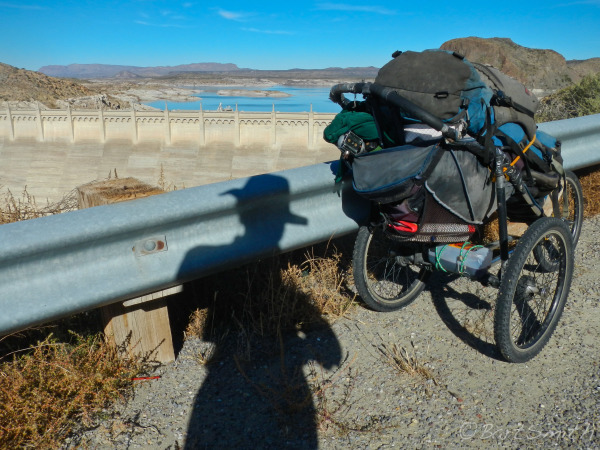 Elephant Butte Dam, near Truth or Consequences, New Mexico. 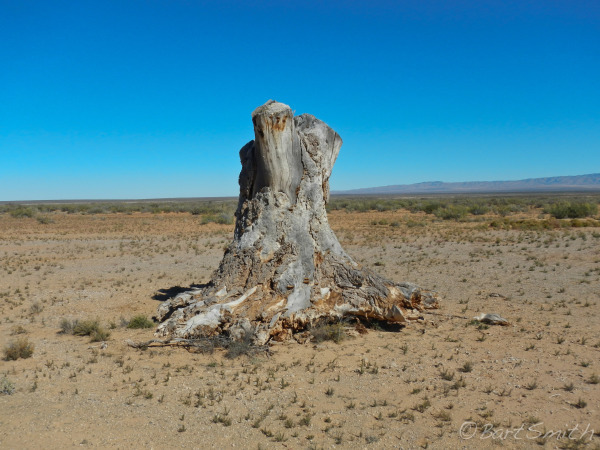 Incongruent stump along the Jornada del Muerto section of the El Camino Real de Tierra Adentro .New Mexico. 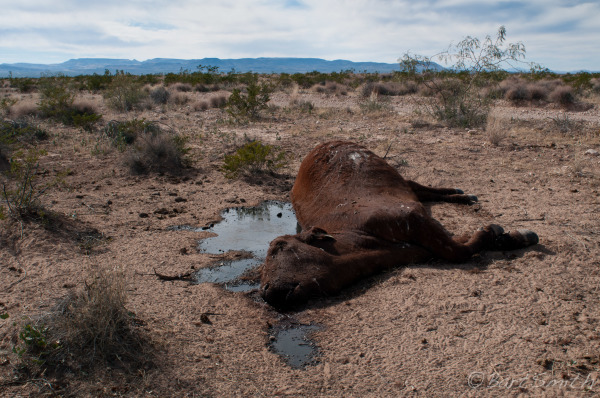 Cow carcass along El Camino Real de Tierra Adentro through the Jornada del Muerto, New Mexico. 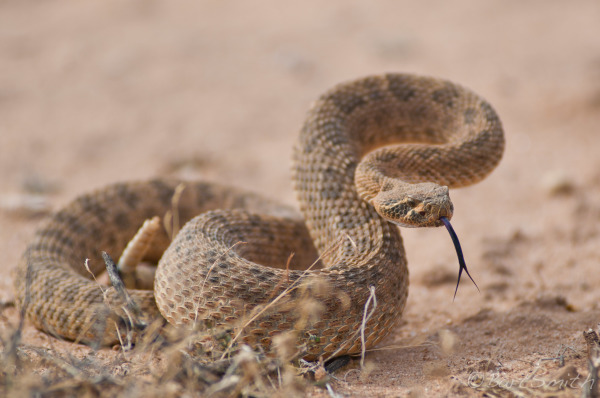 Rattle Snake along El Camino Real de Tierra Adentro through the Jornada del Muerto, New Mexico. 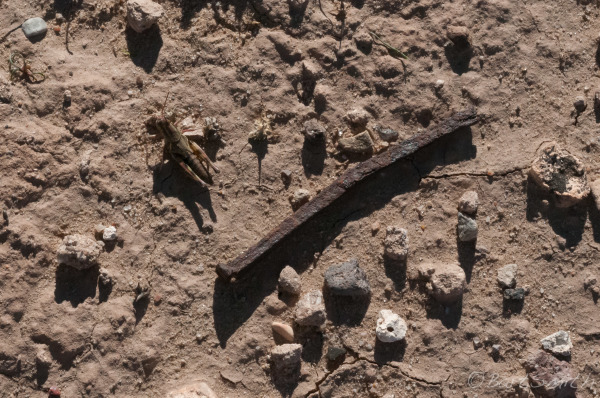 Old square nail and grasshopper near Fort Selden, New Mexico. 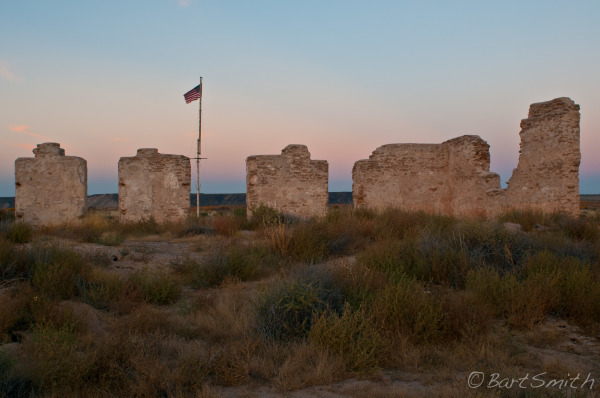 Melting walls of Fort Selden, Fort Selden State Monument, New Mexico. 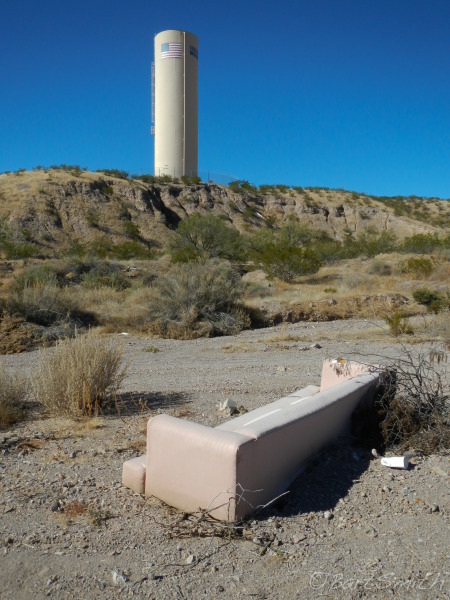 Couch in draw south of Radium Springs, New Mexico. 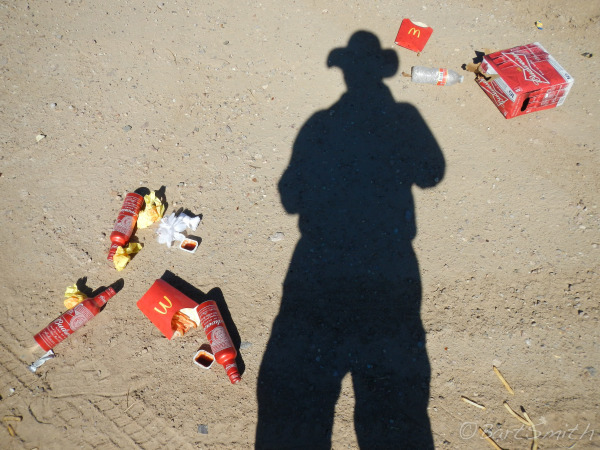 Trash near Las Cruces, New Mexico. 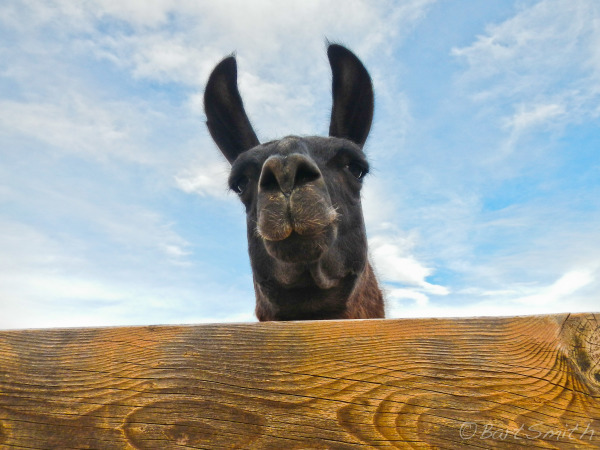 Llama south of Las Cruces, New Mexico. 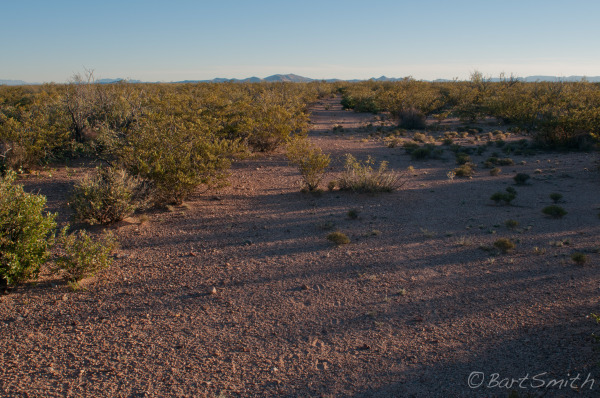 Along the outskirts of El Paso Texas. 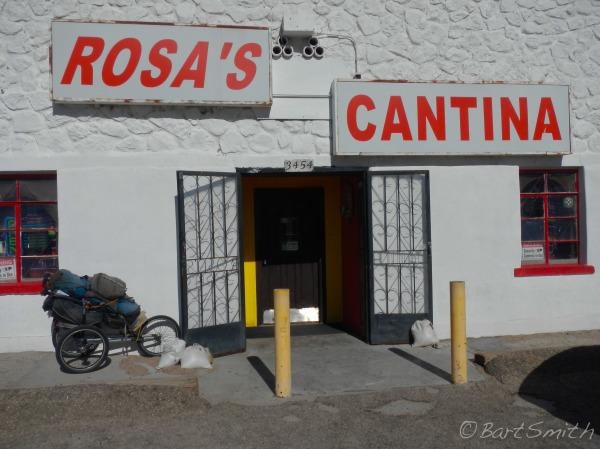 Rosa's Cantina in the West Texas town of El Paso Texas. 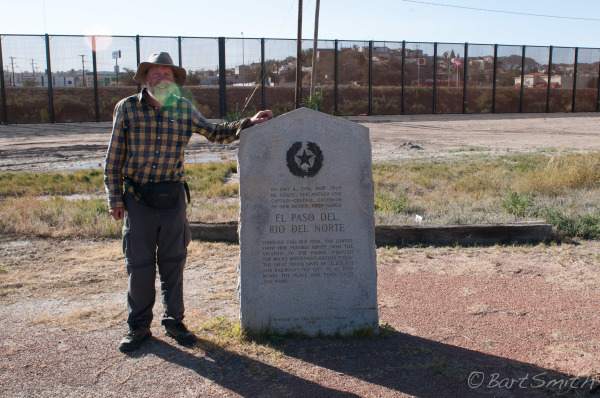 Myself at monument to the El Camino Real de Tierra Adentro at the U.S. Mexican Border upon my completing the U.S. section of the historic route, El Paso Texas. Boy Howdy it is Infinite Dust! 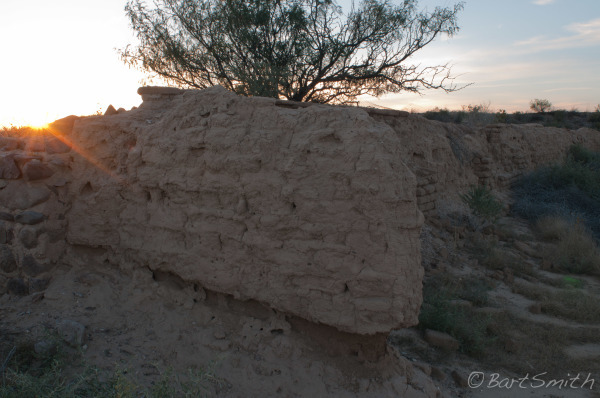 Rio Grande riverbed south of Brazito, New Mexico. This route is one of North America's oldest and longest colonial roads. 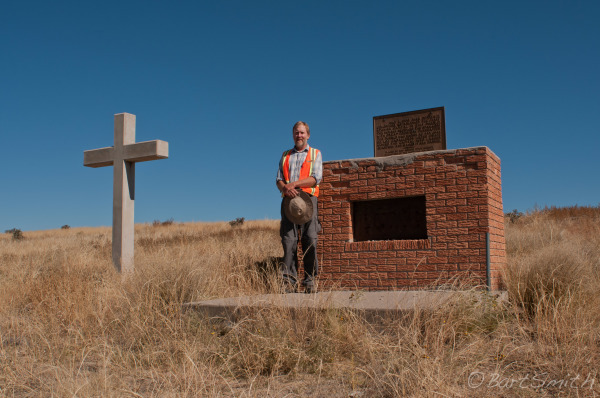 It serves as the route of settlers, priests, and traders coming north from Mexico City to the edge of the Spanish Empire against the Rocky Mountains. 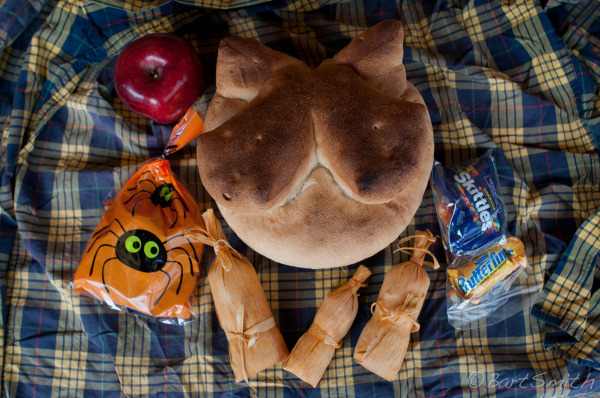 Over time it became a blending of Native American, Colonial Mexican, and American cultures. 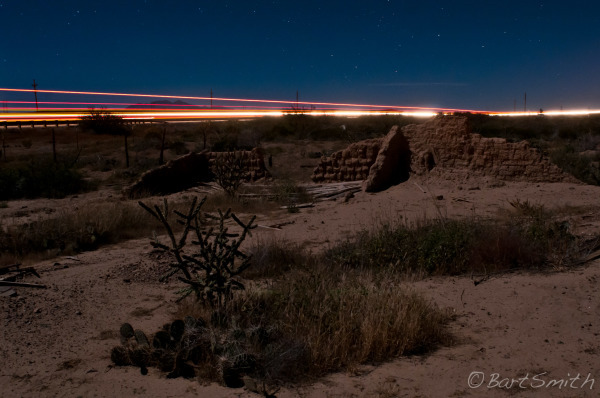 Trade and travel that took place on this trail shaped America's Southwest, encouraging economic stability and permeating cultural barriers. 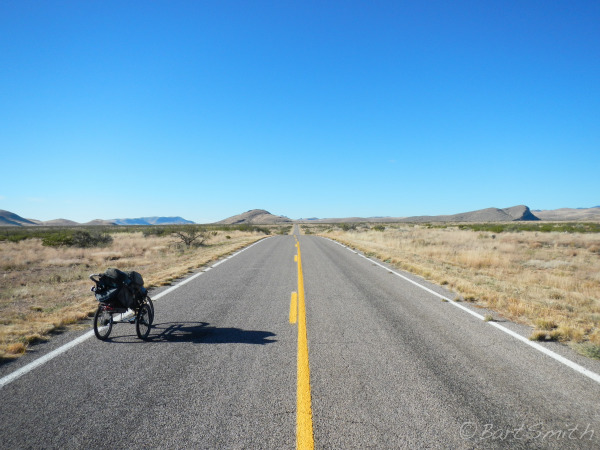 This route began as a chain of Native American trails that was linked together by the Spanish in 1598, connecting the capital of Mexico to northern provincial outposts and towns. 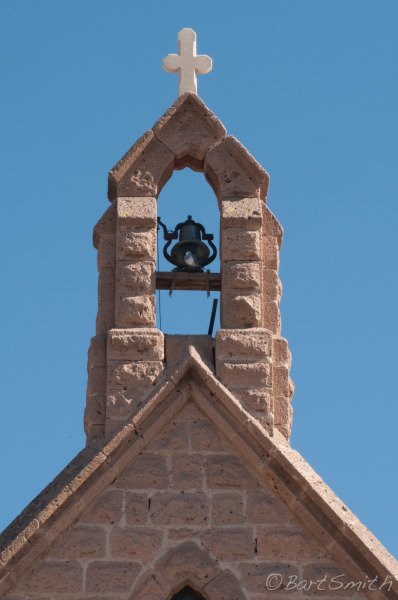 After Mexican independence in 1821, it became an extension south for traders on the Santa Fe Trail. In the 1840s, American troops followed it to invade Mexico in the Mexican-American War. 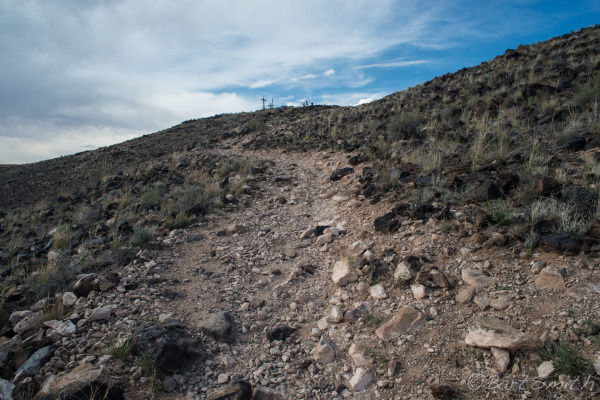 Administered jointly by the National Park Service and the Bureau of Land Management, the trail is supported by El Camino Real Trail Association (CARTA) that works closely with El Camino Real International Heritage Center near Socorro, New Mexico.